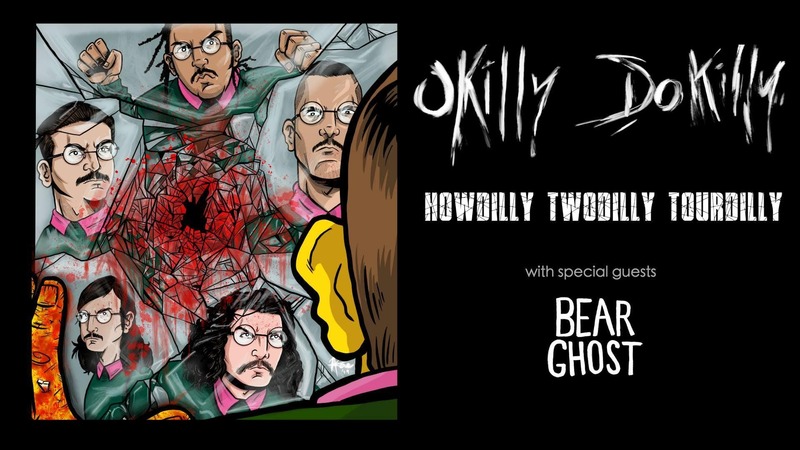 Okilly Dokilly is the world's only Nedal band. Hailing from Phoenix, Arizona, a majority of the band's lyrics are direct Ned quotes. The band's current members include Head Ned (vocals), Dread Ned (drums), Shred Ned (guitar), Bed Ned (bass) and Zed Ned (synth). Bear Ghost is a rock band from Phoenix, AZ that fuses intricate musicianship, melodies and song structure to deliver a one of a kind sound. With the release of the band’s first full length album entitled “Blasterpiece“, the Phoenix market took notice. Bear Ghost quickly became one of the area’s favorite bands and “Blasterpiece” received high critical acclaim, winning the market’s Album Of The Year for 2016 from the Phoenix New Times.